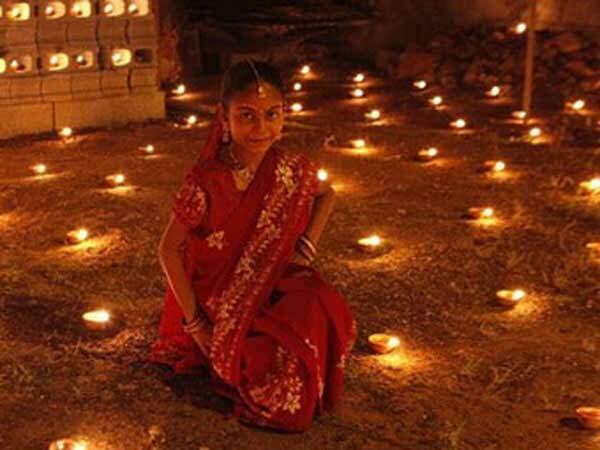 Girl celebrates Diwali with diyas (oil lamps). Diwali for the year 2021 is celebrated/ observed on Thursday, November 4. Thursday, November 4th is day number 308 of the 2021 calendar year with 2 years, 6 months, 9 days until Diwali 2021.